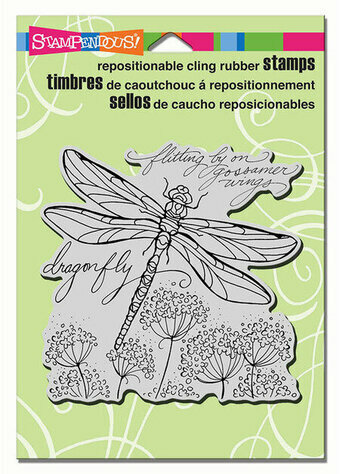 Fran's Curio Rubber Stamps are sweet, colorful, wooden sculptures ideal for decorating your crafting area or giving to crafty friends. On the back of each, you'll find a matching rubber in our finest gray rubber, closely trimmed, with black foam cushion for the Stampendous impression you've come to expect from our products. 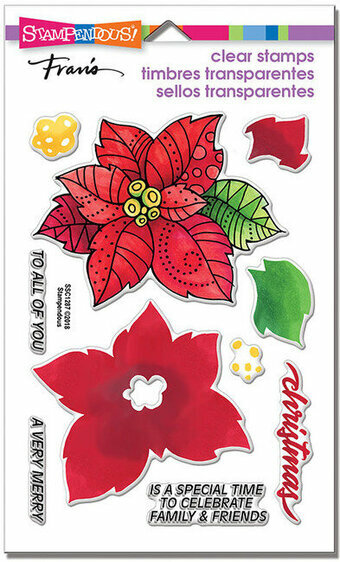 Tweet One measures approximately 3"w X 2-1/2"h X 1-1/8"d and stands on its own. Muzzy demonstrates her agility in this handstand! Try balancing her on balls, flowers and other objects! 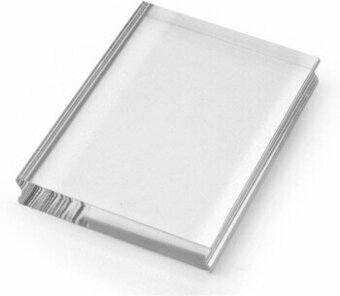 Image measures approximately 1-3/4" X 2-1/2". Monica, Amanda, and Mudpie share a cool treat on a warm day. 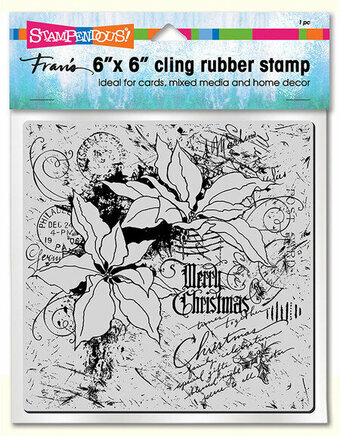 Image measures approximately 4-1/4" X 2-3/4". This original design is copyright Ellen Jareckie and House-Mouse Designs. 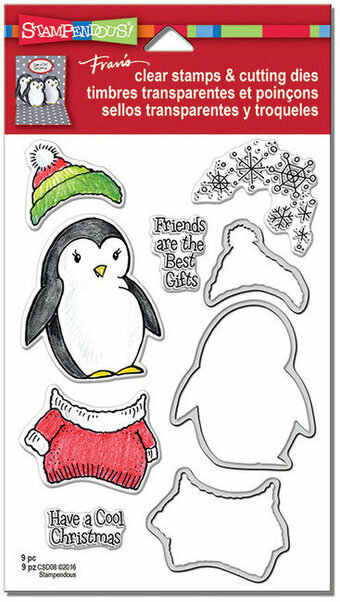 The image is deeply etched and precision cut from premium gray rubber on a 1/8" gray rubber foam backing then mounted on a cling vinyl decal with full sized image for easier storage and use with an acrylic handle sold separately. Made in the USA. 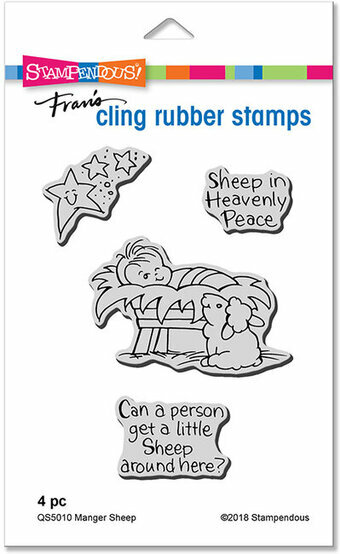 This medium acrylic handle for clear stamps measures 3" X 4". Ideal for most images. This handy 2oz empty bottle has so many uses. Keep one handy on your desk filled with water for refilling your waterbrushes in a hurry. Use the fine needle tip for applying glues, lacquers, paints and so much more. 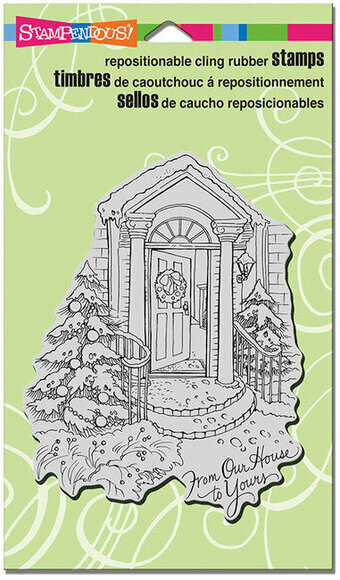 A classic front door is open to welcome you in to a holiday home. Image measures approximately 4" X 5-1/4". 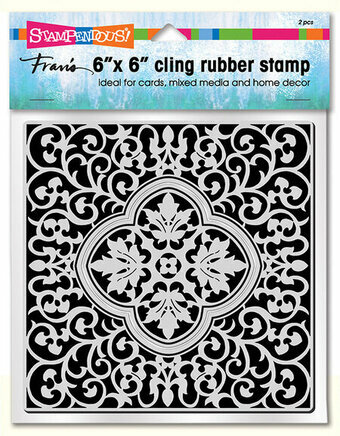 This original design by Fran Seiford is deeply etched and precision cut from premium gray rubber on a 1/8" gray rubber foam backing then mounted on a cling vinyl decal with full sized image for easier storage and use with an acrylic handle sold separately. Amanda mends Monica's teddy mouse so that things can get back to normal! 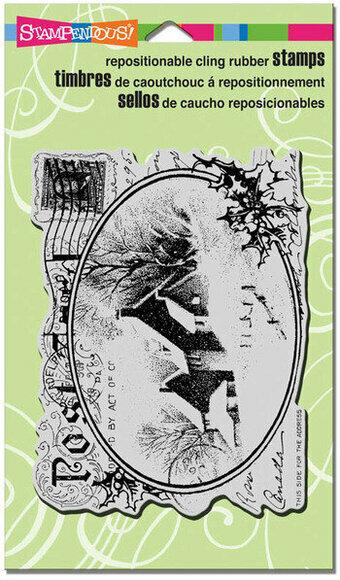 This original design is copyright Ellen Jareckie and House-Mouse Designs. 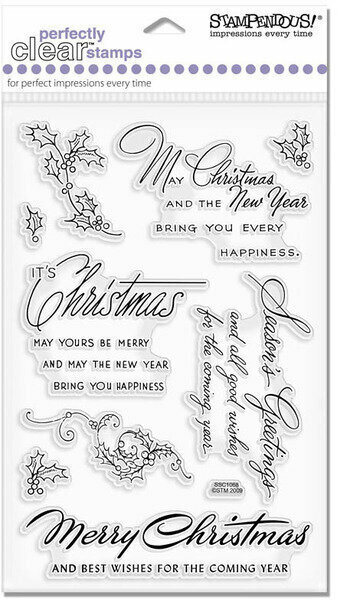 The image is deeply etched and precision cut from premium gray rubber on a 1/8" gray rubber foam backing then mounted on a cling vinyl decal with full sized image for easier storage and use with an acrylic handle sold separately. Made in the USA.